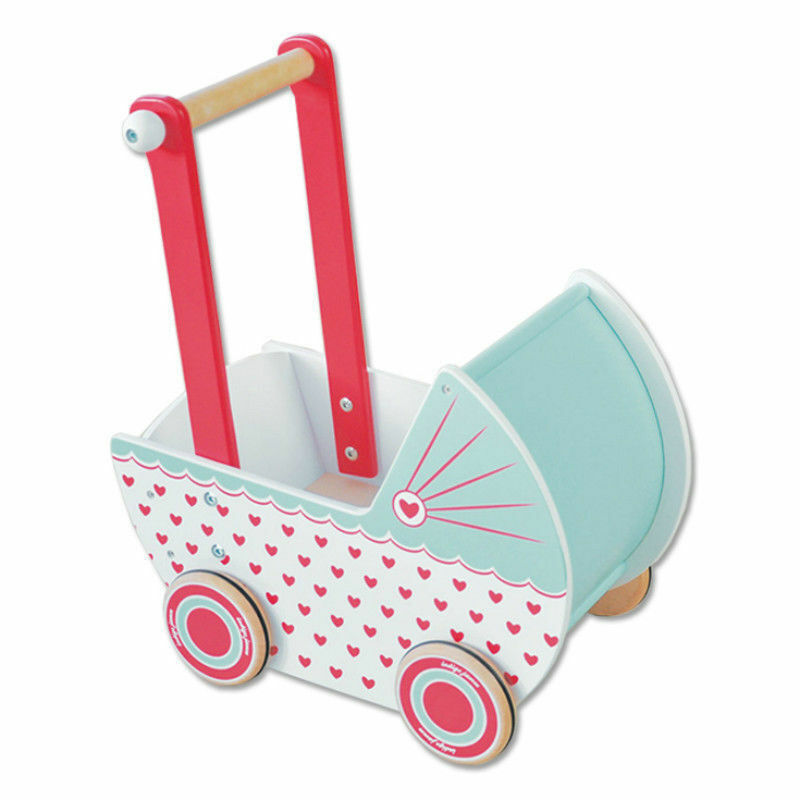 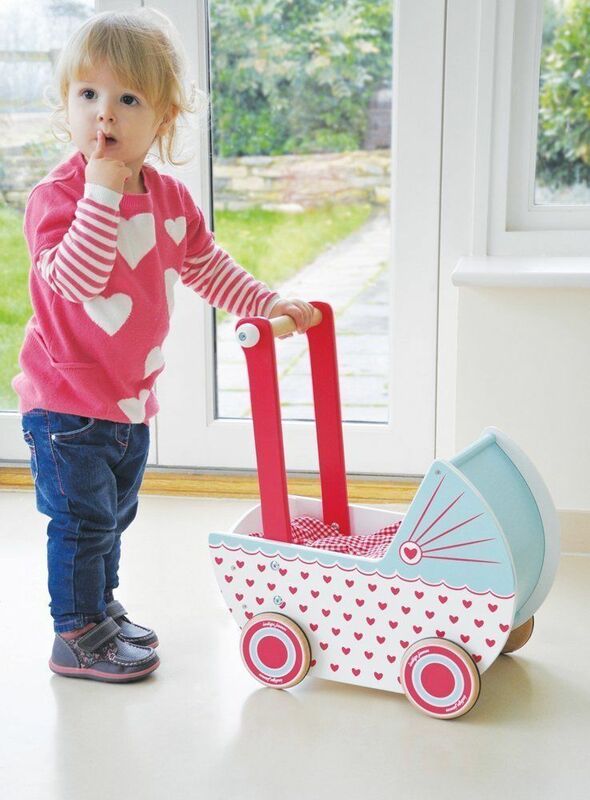 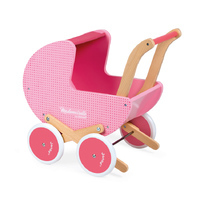 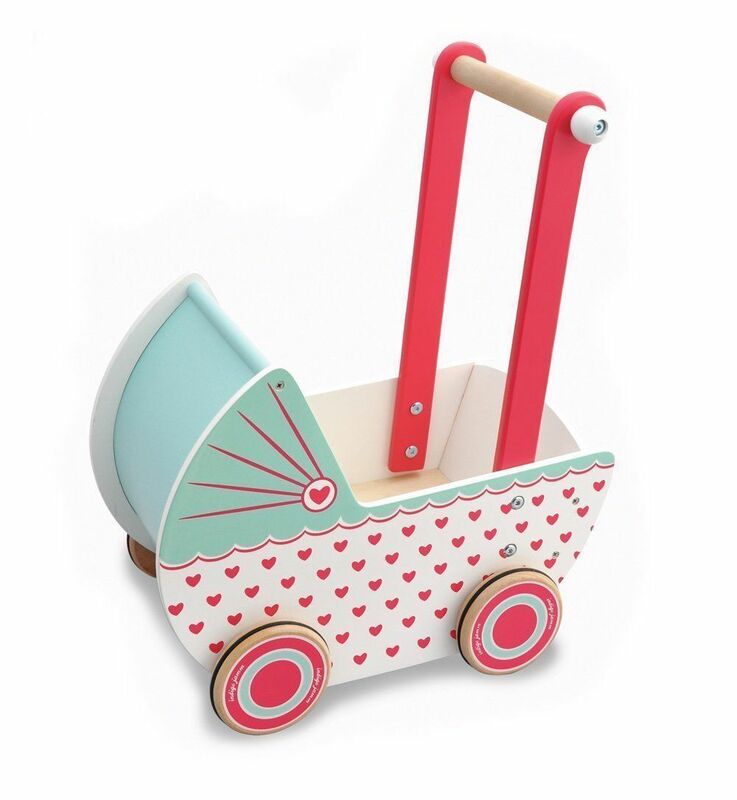 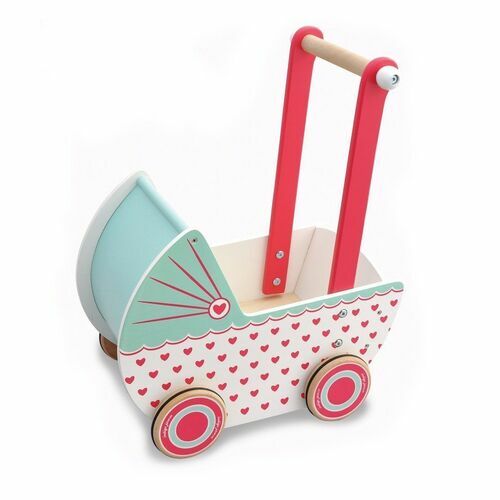 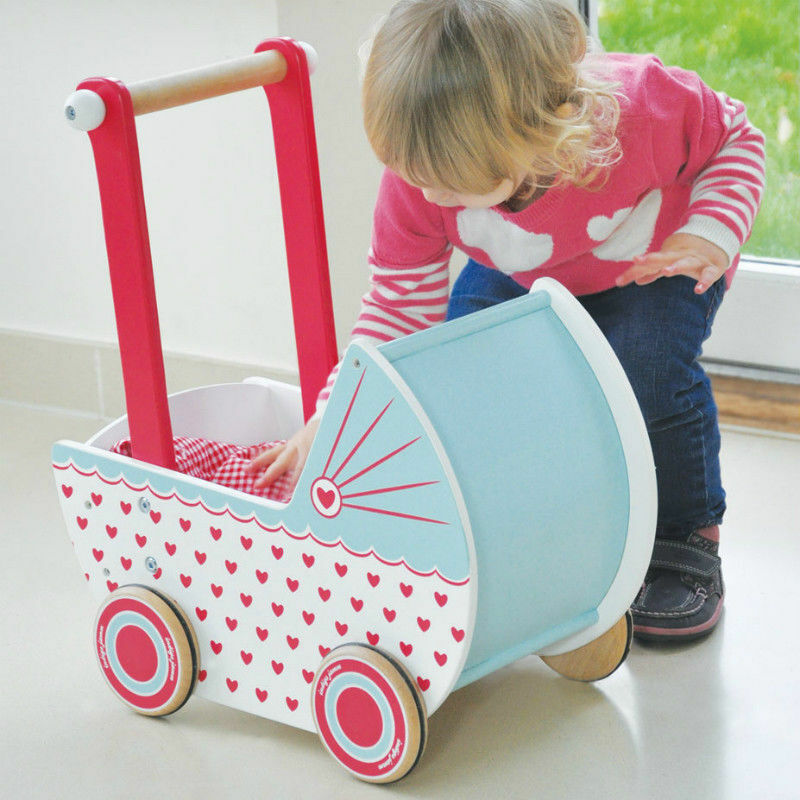 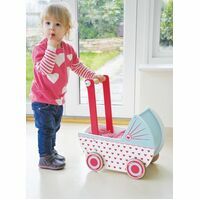 Patterned with brightly coloured hearts this sturdy pram moves pleasantly over both carpeted and hard indoor surfaces with its rubber edged wheels. 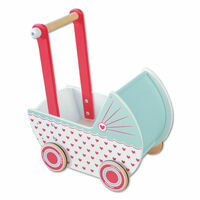 Will fit dolls up to 25cm and is sure to provide hours of imaginative play. 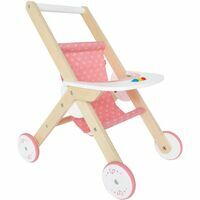 Easy adult assembly required. 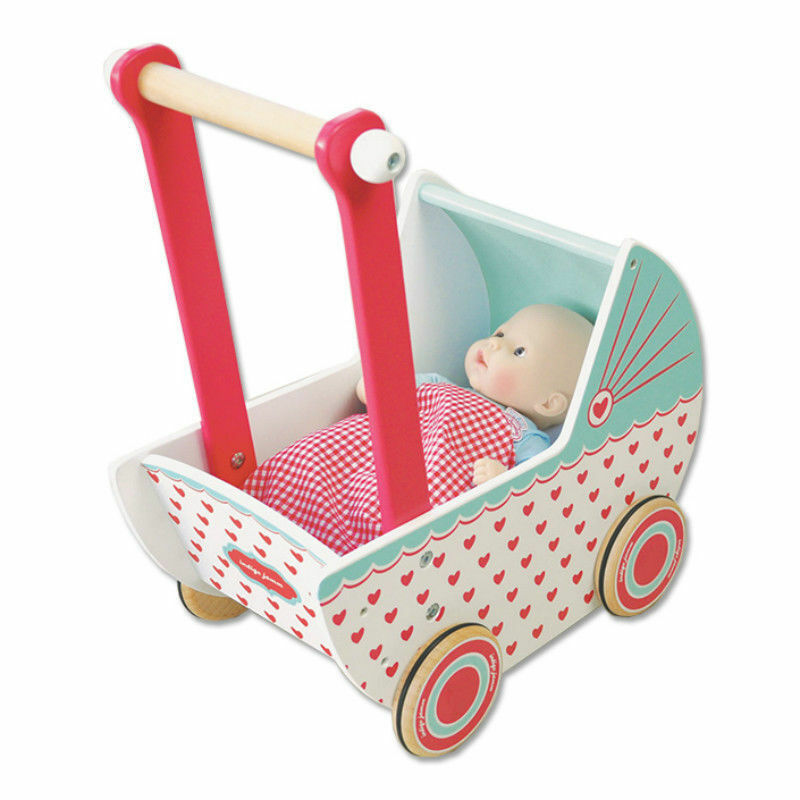 Doll and Blanket shown not included.